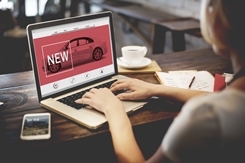 How to Spot a Deceptive New Car Advertisement | The Consumer Law Group, P.C. You’ve heard the saying: If it sounds too good to be true, it probably is. This holds especially true for new and used car dealer advertisements. The goal of the dealer is to lure you into his showroom, so he will make all kinds of promises. When you get down to it, however, you may discover that the offer is not what it seems. The following are common offers made in car dealer ads. While the ad might get you to the dealership, you may find that won’t actually get what was promised. Low price. You’ve done your research on the car you want, and the price being advertised by a particular dealer is especially low. However, you may find when you get to the showroom that you will have to make a large down payment or pay extra fees to get the low, low price—not really a bargain after all. Zero percent financing. You are planning to take out a car loan anyway, so the promise of zero percent financing is especially appealing. Unfortunately, you may find when you get to the dealership that you must have a nearly perfect credit score in order to qualify for the offer—which you don’t have. Low monthly payments. Only $99 a month? Who can’t afford that? That offer might get you in the door, but be sure to find out if that payment balloons to a higher payment later on. This is a typical trick of the auto dealer trade. Remember, even if a dealer’s appealing ad gets you into his showroom, you are under no obligation to go through with a purchase if you are not getting what the ad promised. If you do decide to purchase a car, make sure the contract guarantees everything you have been promised—read the fine print. Do your research ahead of time to identify a reputable dealer. If his advertising is blatantly misleading, contact the Federal Trade Commission to report the business. If you go through with a purchase under a certain understanding and find out later that you have been deceived, you may have a case against the disreputable dealer. Contact us at 804-282-7900 for more information.